Earlier this summer, Baltimore governor and possible 2016 presidential candidate Martin O’Malley played a concert with his Celtic Rock band O’Malley’s March. At the show, held in Germantown, Maryland, the Irish American O’Malley discussed a recent trip to Ireland. But then O’Malley went all New Jersey on the crowd. That’s when things got interesting. The New Jersey governor, of course, is a huge (if you will) Springsteen fan. This even though Christie is a Republican and Springsteen has made no secret of his disdain for the right side of the political spectrum. Christie and Springsteen, nevertheless, have been cordial in public. Perhaps they will eventually become close pals -- or mortal enemies. Who knows? What I do know is that if Christie really does have his eyes on the White House, if he wants to become America’s second Roman Catholic president with Irish roots, he’s got a very big problem. And it is not his weight. Chris Christie’s big problem is his own Republican Party. Christie never misses a chance to announce that he is the “son of an Irish father and a Sicilian mother.” That is usually a punchline used to explain his famously fierce temper. That temper was on display earlier this month when Christie got into a war of words with Republican Senator Rand Paul. Paul is one of those Republicans who is so opposed to taxes and federal spending that he voted against relief for Hurricane Sandy victims. Which is all well and good if you believe all such spending is bad. But there’s a dirty little secret about Republicans like this, and Christie exposed it. "I find it interesting that Senator Paul is accusing us of having a gimme, gimme, gimme attitude toward federal spending when in fact New Jersey is a donor state. We get 61 cents back on every dollar we send to Washington. And interestingly Kentucky gets $1.51 on every dollar they sent to Washington,” he said. “So if Senator Paul wants to start looking at where he's going to start to cut spending ... maybe he should start cutting the pork barrel spending that he brings home to Kentucky." And that pretty much says it all. States like Kentucky, Alabama, West Virginia, Mississippi and Alaska all receive a whole lot more in services than they pay in tax dollars. You might think this would make these states vote heavily for Democratic Party, which is, of course, the tax and spend party. But no. All those states voted for Mitt Romney in 2012 and John McCain in 2008 and George W. Bush in 2004. These states are loaded with voters who love to bash Washington, even as they enjoy services -- from food stamps to military bases -- paid for by tax dollars provided by “donor states” such as New York and New Jersey. It is fitting, then, that in this upside-world, the darling of the anti-Washington, anti-tax crowd, Sarah Palin, declared that she supported Paul in his fight Chris Christie. Palin is the former governor of Alaska, whose heavily Republican voters also receive way more in services than they pay in taxes. These would be the voters Christie would have to win over in a Republican primary. They are rabidly opposed to taxing and spending, though apparently not accepting the services that such taxing and spending pays for. They are also stridently opposed to abortion, gay marriage and gun restrictions of any kind. Christie has tried to toe the Republican line on these issues, but he doesn’t come off as a true believer the way the Palins and Pauls of the Republican Party do. That’s a compliment, by the way. 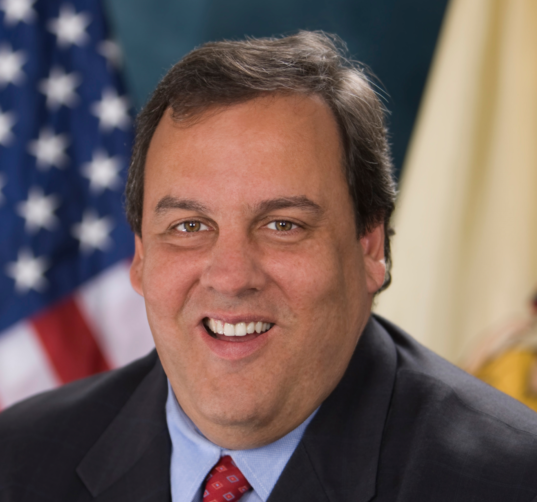 I have a lot of problems with Christie. But I welcome the debate he has initiated within the Republican Party. The only trouble is that it’s a debate he is going to lose. Badly. Until Republican voters acknowledge that they are hypocrites when it comes to taxing and spending they will continue to live in blissful ignorance, voting for radically anti-government candidates, even as they live a life significantly funded by the government they claim to hate so much.